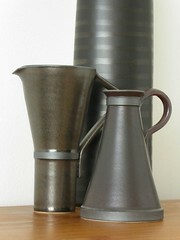 My two pieces of Ian Rylatt’s pottery. More about him here. If you’re in the UK, he’ll be exhibiting at Potfest in the Park in Cumbria this July.